I (along with many of you) worship at the Church of 2-Tone and its sound and look have defined me as a musician, fan, and blogger. As such, the 1981 music documentary, "Dance Craze" has served as a constant refuge for me throughout my life. 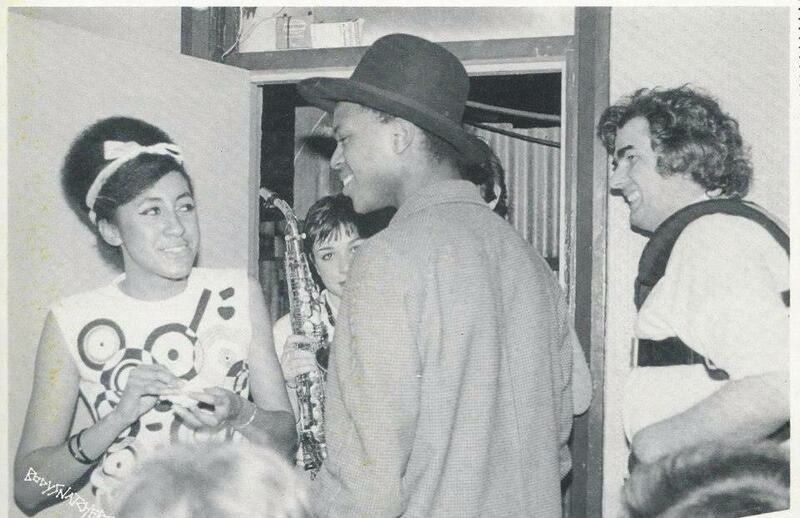 Though I was the perfect age to experience 2-Tone live in the late 70's and early 80's, sadly I lived on the wrong continent! Years later, I splurged on an incredibly overpriced VHS copy of the film. Despite the high price, it was everything I hoped and dreamed it would be. The tape still occupies a place of honor on a book shelf in my home. Amazingly, the film has still not received a proper re-issue on DVD or Blu-Ray (nor does it appear that this will happen anytime soon). However, the full 85-minute version of the film — featuring classic performances from 2 Tone-era acts The Specials, Madness, Bad Manners, The Beat, The Selecter and more -- is available for viewing on YouTube, as are rare outtakes which were poorly marketed and packaged for sale as a VHS tape in the late 80's in the U.S. under the tittle "Ska Beatz." Though may 2-Tone ska fans know the basics behind the film, what many have never heard, is the story about the actual filming of the documentary by the film's cinematographer. In a career spanning 40 years, Joe Dunton championed some of the film industry’s key developments including the development of film and video cameras and lenses that changed film making. Dunton, who is well regarded in the UK and US film industries as a camera and sound expert was awarded the M.B.E. (Member of the Order of the British Empire) in the 1998 Queen's New Year's Honours List for his services to the camera and film industry. He has been associated with some of the most well known directors including the late Stanley Kubrick and the late Oswald Morris. Dunton developed many cutting edge firsts during the making Dance Craze which are now taken for granted like having camera's on stage vs. in the audience. Dance Craze was also one of the first films recorded with Dolby sound. 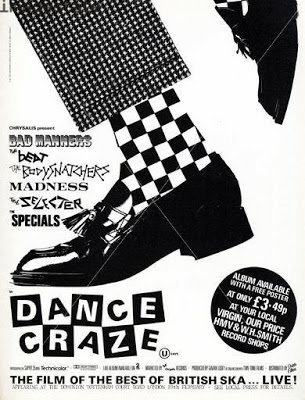 Dance Craze was directed by Joe Massot, who originally wanted to do a film about Madness, whom he met during their first US tour. 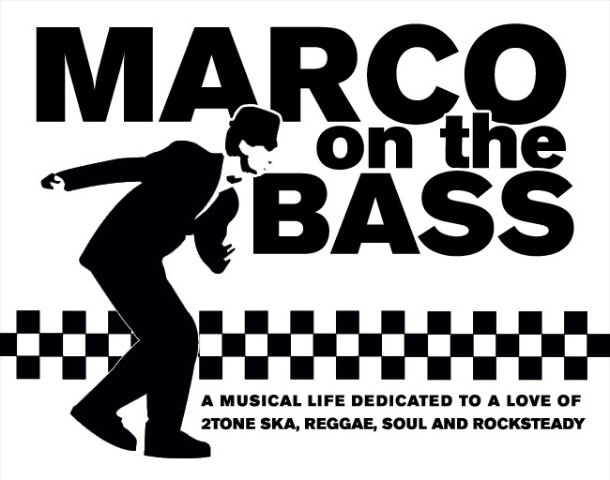 At the urging of his son who was a ska fan, Massot later changed his plans to include the whole 2 Tone movement. He then tapped Dunton to help him. The film which was shot in 1980 captured Madness, The Specials, The Selecter, The Bodysnatchers, The Beat and Bad Manners on tour throughout the UK and US. A soundtrack album of the same name was released the same year (and reached #5 in the UK album charts), featuring fifteen songs from the film. According to a recent interview with Dunton, the film was conceived as it was being shot which adds to its immediacy and is part of the reason it still holds up to viewing nearly 35 years later. "I then had the idea to make a film that was not “a third row film”, - not shot from the audience, from the third row; everyone shot concert films from the third row, and it does not mean anything, and because the bands were young bands I ended up being on stage with them and our first band – I think it was called “The Specials” or “Selecter” – I asked if I could come on stage and make the film; they had not made a film before so they were not really anti-me at all. I said if they did not like the film we need not use it; thus we did not draw up contracts – we just took a chance." "After the first concert, we hired a cinema in Brighton (or Southampton) with no sound – and the band saw the film – and they sang along with the film because they knew the words – so we had sound as they sang along with it. They told their mates in the other bands of this whole 2 tone group and what we were doing. I got permission from all of them in the end." According to Dunton, Massot encountered sone challenges while making the film that required Dunton's help in navigating. Unfortunately, with Joe, he was a lovely man, but was American and when you come from Camden Town – our Cockney London - to have an American to deal with it was very difficult. So I was the communicator - basically because my camera was being directed by me – not someone telling me what to do. I was just feeling the way. Despite the excitement that the film generated, Dunton was never paid for his work on the film. We finished the film. I ended up with a contract that offered me 10% of the movie and then – as in those days - I got a telex from Chrysalis Records to say it was 1%. I told them they had left the “0” off: no, no, they said we have done a new deal – I still never got my wages then. But I had 30 people on the payroll editing the film so they really pushed me into saying let’s get on and finish the film. I still have not got my 1per cent! - it should be mounting up over 20 years! – (it would be good if you could put the word out!) – the director had a 10% too and he has now passed away, although his daughter could do with the money; there must be revenue from it. Lucky for all of us, Dunton has been out and about attending screenings of Dance Craze in all its 70 mm glory. Below is a video from a 2011 event in the UK that featured Dunton speaking about the making of the film. Here is a more recent Dance Craze event that Dunton attended in the US this past summer. Below is the theatrical trailer that Dunton created and which has rarely been seen outside of the UK. One of my goals for 2014 is to arrange a proper screening of the film here in New York. Keep you eyes open for news about this in the new year. Now that there is a 70mm version, does this mean a DVD/BD version is possible? Wonderful article, but it was not the first film recorded in Dolby Sound. The first to use Dolby noise reduction extensively was A Clockwork Orange in 1971, and the first film recorded in Dolby Stereo was the '76 remake of A Star Is Born. It played in an artfilm theater for one showing (midnight maybe) and it was almost full. Dancing ensued. I had the biggest crush on Rhonda Dakar. yes Joe has been talking about it. There are things that need to be worked out but it is also his goal as well to produce a brand new super clean version of the film! Wouldn't that be wonderful! I spoke to Joe Dunton about his desire to release a Blu-ray disc version of Dance Craze during screenings last year in Long Beach & Hollywood, respectively. Has there been any progress towards this release? I am anxious to see this effort come to fruition! I know this post is getting old, but why can't a Kickstarter or similar crowd funded option be an option. I would pay good money for a pristine copy of Dance Craze. I have my money waiting to fund a Kickstarter. Please we need this on Bluray! Please! And don't forget a remastered version of the soundtrack! Is there still no movement on a DVD of the original being released, it's 2019 and the 40th Anniversary of 2tone.